Hello! It’s late at night and I’m burning the midnight oil writing this post ;) My kiddos are officially out of school and the first day of our Summer vacation went pretty good. Now that they are older kids: ages 12, 9 and 7, it is waaaay easier to get out of the house and enjoy the outdoors! Another nice perk? They can entertain themselves while I craft!!! 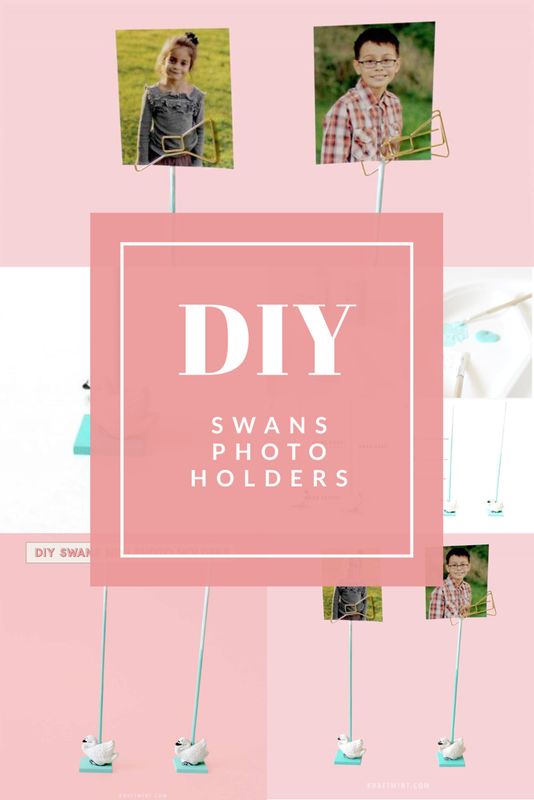 So, today I have a super cool and simple photo holder DIY made with two swan beads, wood dowels, blue and a gold paper clip. Take a peek below. 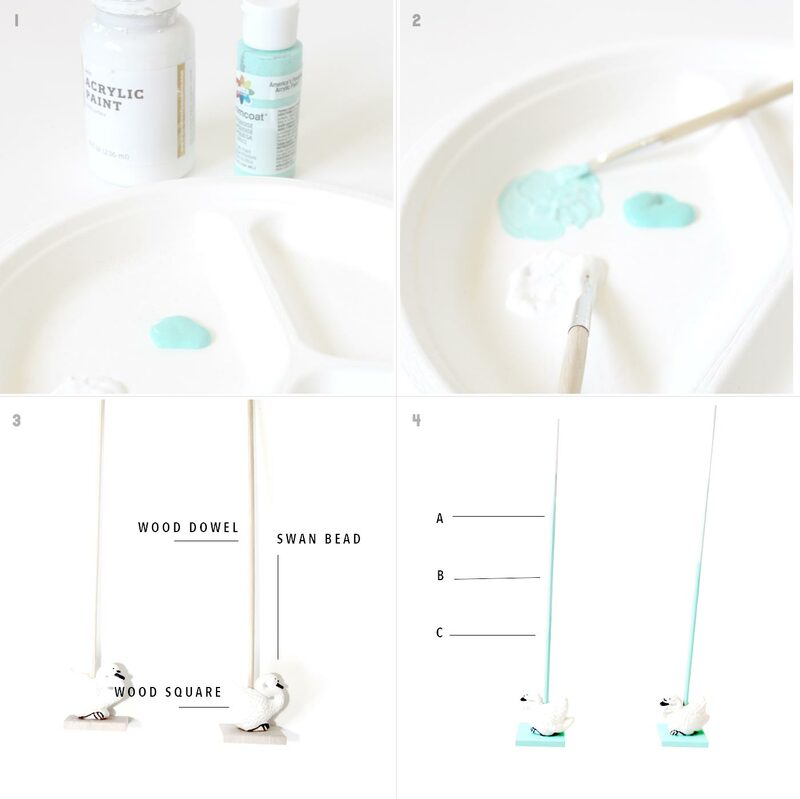 Use white and aqua acrylic paint to create the “ombré” effect on the wood dowel. Once you have mixed both paints, set the paint aside. The swan beads come with a hole that goes through the center of the Swan. Add glue to the hole and insert one wood dowel and allow the glue to dry. Add glue the to the bottom of the swan bead and glue it to one wood square piece. Finally, paint the wood dowel, starting from the top with pure white paint, aqua + white paint and pure aqua paint. 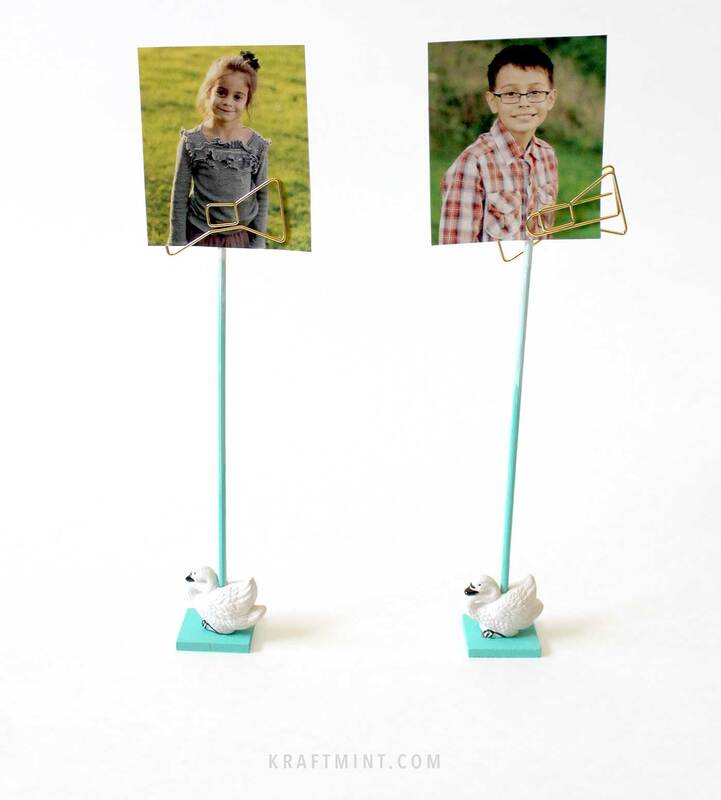 Once the paint is dry, add one gold bow paper clip and insert your favorite photo to the clip. Swans are everything!!! I think I’m delirious with the lack of sleep so I must log-off, but please don’t leave this post without leaving me a comment and /or subscribing to my newsletter to keep in touch. 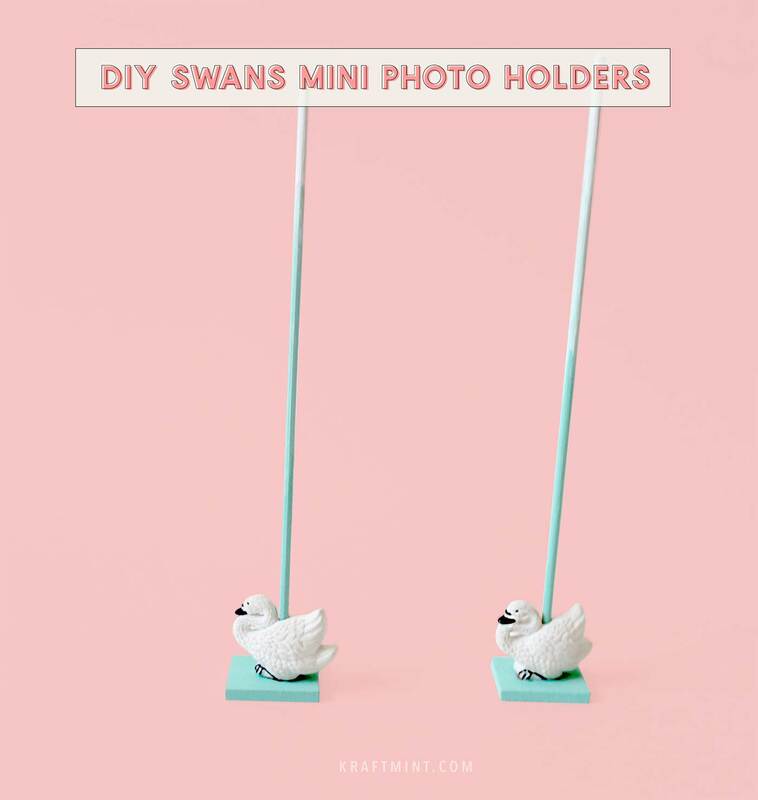 What a cute and simple way to show off your photos. Great tutorial, also. Affordable is also great aspect. 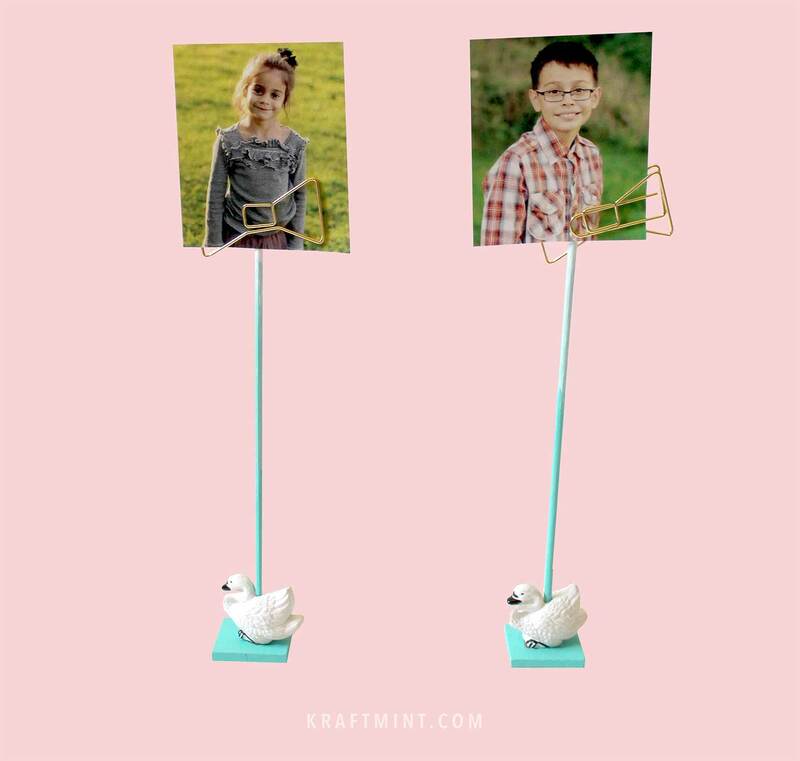 How cute to have your kids photos where you can see them. Could put magnet on bottom and have on your cars dash.